Continuing financial pressures as a result of significant continuing austerity and cuts to the council’s budgets by the Government have meant that Council Tax in Hounslow is recommended to rise this year to protect essential services. With the cessation of the Revenue Support Grant from Government to Hounslow and Business Rate Growth retention reducing from 100% to 75%, Hounslow Council is effectively losing about £9m compared with 2018 in real terms. “Yet again, we are in a position where difficult decisions have to be made on where to prioritise resources, while delivering the priorities of our residents and businesses and minimising the impact on services as much as possible. This is made even more difficult as we need to ensure we provide services for our growing and aging population. “For so many families in the borough, trying to make ends meet has been a struggle for several years. Unfortunately, this is the same for the public sector as Government cuts are hitting council finances badly, which means we’re having to make some difficult choices about how we spend money. “Hounslow has a prudent approach to financial management and there are robust plans in place to ensure we live within our means. As in any well-run organisation, we will keep a firm lid on spending and ensure our services are being run as efficiently as possible, so they deliver value-for-money. 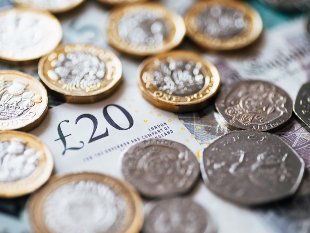 At the next Borough Council meeting on 26 February, the Council will be asked to consider an increase in Council Tax of 2.99% for 2019/20, plus a further 2% social care precept. This increase will add an extra £58.27 for a typical Band D property (excluding the Greater London Authority precept). The social care precept is ringfenced to protect adult social care services for the most vulnerable families from further cuts. It should be remembered that Hounslow’s Council Tax was not increased between 2006 and 2016 and was in fact cut by 0.5% in both 2013 and 2014. “We will continue to invest in the services and priorities that are important to residents and make savings where we can. We want to improve services, deliver better value for money and to make our borough a better place for us all to live and work in. Residents can manage their Council Tax account online. Register at www.hounslow.gov.uk/counciltax to check your bill, set up a direct debit, claim Council Tax Support or tell us about any changes to your circumstances. Managing your Council Tax account online saves you time and avoids lengthy telephone calls, writing letters or visiting the Civic Centre – ultimately it also saves you money. For more information, visit www.hounslow.gov.uk/counciltax.